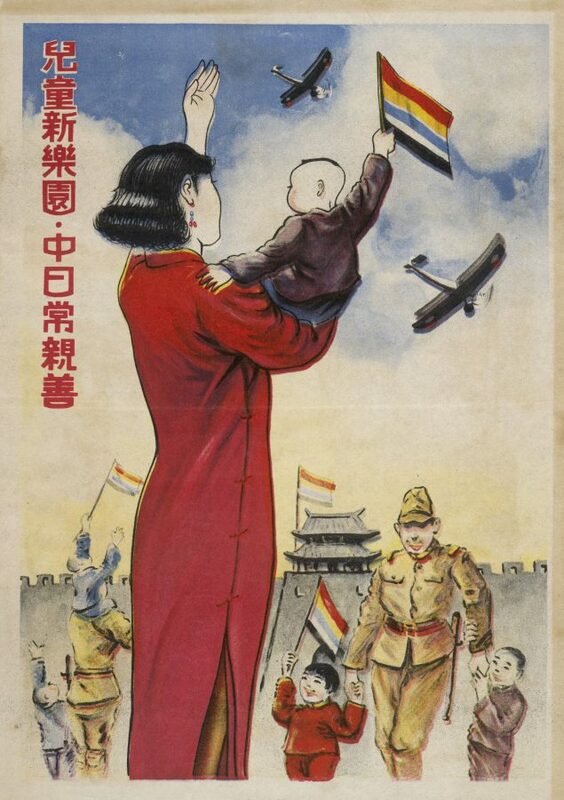 Poster depicting Chinese mother and child welcoming Japanese troops to occupied Beijing. 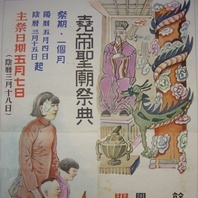 This poster, almost certainly produced with the aim of encouraging civilians in occupied Beijing to embrace Japanese rule, includes many of the standard tropes of early occupied north China propaganda: a “new woman” with a male child; city walls; Japanese soldiers fraternising with Chinese infants; the “five-coloured flag” (wuseqi); and a sky filled with Japanese airplanes. 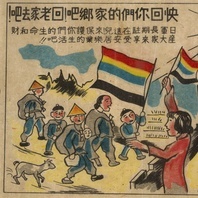 Jeremy E. Taylor, “Gendered Archetypes of Wartime Occupation: ‘New Women’ in Occupied North China, 1937–40”, Gender & History 28.3 (2016): 660-686.